PELHAM BAY — Their route set and destination in sight, Bronx and MTA officials are now pushing to secure funding and station space in order to send Metro-North trains rolling through the East Bronx by 2019. To enact the plan to build four new East Bronx stations where residents could catch Metro-North trains to Connecticut or to Manhattan’s West Side, up to $800 million and train slots in Penn Station are needed. For its part, the MTA, which operates Metro-North, has co-sponsored a soon-to-be-completed study to analyze whether Metro-North trains could fit in Penn Station and has been searching for possible funding sources, including Connecticut’s Transportation Department. On Monday, Diaz urged members of the Bronx Chamber of Commerce to wield their influence to win politicians’ backing for the project. “You let them know that if they want you to be supportive of them, they have to be supportive of The Bronx,” Diaz said at a public meeting hosted by the Chamber. “What better way [to be supportive] than to have this legendary, transformative project come to fruition in our borough?" "You make that case to them," he added. Diaz and MTA officials convened a series of public forums about the plan last fall that attracted some 1,200 people in the four East Bronx neighborhoods where the stations would be built — Hunts Point, Parkchester, Morris Park and Co-op City. The Metro-North expansion, which would send trains along existing Amtrak lines, would slash travel times, spur development, cut pollution and make new job opportunities available to the roughly 160,000 residents near the proposed stations, the officials argue. 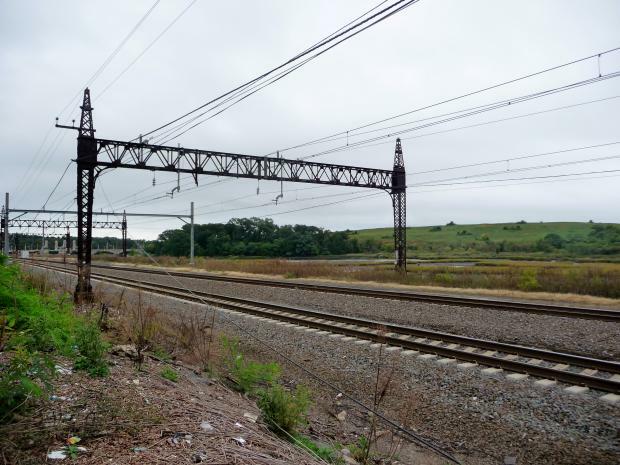 And, because the project requires no new railways or private land acquisition, it comes with a relatively modest price tag compared to multibillion-dollar undertakings such as the Second Avenue subway or the LIRR extension to Grand Central Station, the officials add. “This is a drop in the bucket,” Diaz said Monday. The plan, officially called Penn Station Access, would also create a new Metro-North route along the west side of Manhattan past two new stations there. Besides funding, the plan hinges on Penn Station slots. When complete, the LIRR extension is expected to divert many riders to Grand Central, freeing up space in Penn Station. But some Long Island lawmakers have told the MTA that LIRR will still need the Penn Station spots to keep up with its growing ridership. Bronx officials disagree and demand a share of the slots. The MTA would like trains to start rolling along the new Metro-North routes soon as the LIRR extension launches, which is slated for 2019. In the meantime, the agency must finish an environmental impact study, negotiate a Penn Station space-sharing plan, reach an operating agreement with the DOT in Connecticut, where part of the route would run, and build the Bronx stations, Robert MacLagger, Metro-North’s vice president of planning, said Monday. To meet that deadline, the project must be included in the next MTA capital budget, which begins in 2015. Lenny Caro, president of the Bronx Chamber of Commerce, said Monday that, because "the Bronx is booming,” more people than ever are traveling there for work or entertainment. “People don’t want to drive all the time," Caro said. "They want to take the friggin’ train." He insisted his Chamber would enlist the other boroughs’ business groups to push for the project. “The Chambers of Commerce are becoming a voice to reckoned with or listened to,” Caro said after the meeting. But a few attendees raised one objection to the plan — partly to cut costs, the project does not call for any parking spaces at the proposed Bronx train stations. Arlene Grauer, who lives in Country Club by Pelham Bay Park, said the nearest proposed train station is a 40-minute bus ride from her home. “That’s not viable,” she said. MTA spokeswoman Marjorie Anders said that private developers were free to create parking spaces by the stations, but that the agency wanted to keep costs low and focus on public transit. “We want to make it a simple, doable project,” she said.